An alligator that attacked and bit off the arm of a woman in Florida recently was captured and euthanized by wildlife officials. The gator measured 8-feet, 9-inches long, according to press reports. A college Spanish professor, Rachael Lilienthal was swimming in Wekiva River over the weekend when an alligator attacked her. People in nearby canoes including Lilienthal’s daughter and her boyfriend, attempted to free the 37-year-old from the gator’s grip. A smack with a paddle and the animal finally released her, according to a statement by Florida Fish and Wildlife Conservation Commission. Joshua Helwig told the local ABC News he just had a sense that she needed help and soon. Helwig was battling in a nearby canoe when he heard the woman scream and rushed over. What he found was shocking. 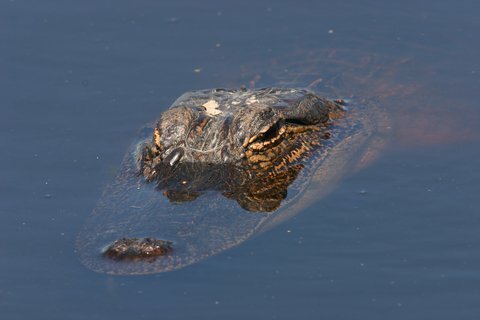 Earlier this year, a man was fatally killed by an alligator in Florida.